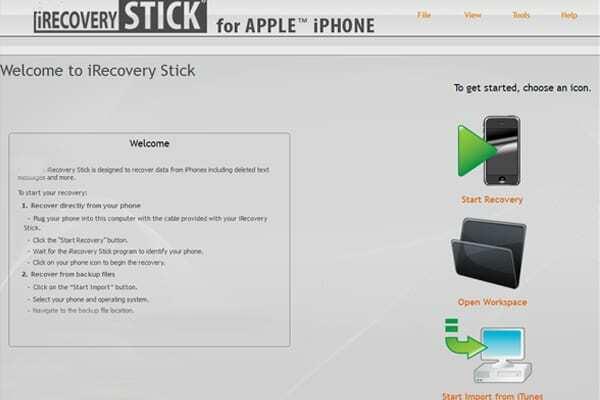 The iRecovery Stick is the ultimate iPhone recovery tool for anyone who wants to capture currently-held and previously deleted information from an iPhone and iTunes. 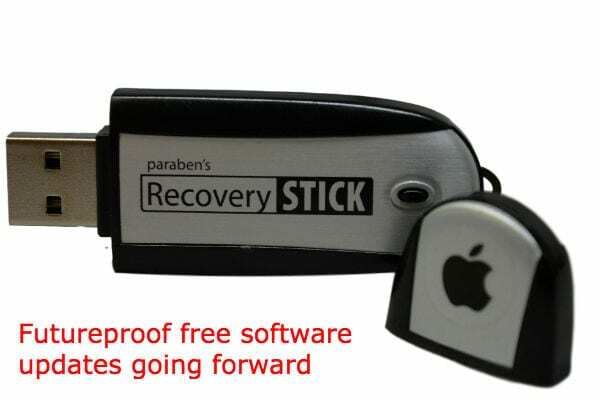 This iRecovery Stick is professional forensic recovery software designed specifically to retrieve currently-held and previously deleted information as well as currently available stored data from any iPhone (running iOS to 3, 4, 5, 6, 7, 8, 9 and now iOS 10.). The software will also recover from iPad, iPod Touch and iTunes back up. Spy Equipment UK is an official UK supplier for this iPhone recovery software which is very simple to use and has a wealth of features that makes it easy to recover deleted text (SMS) messages, contacts, call history, iMessages, Safari web history, as well as recently deleted photos, notes and calendar appointments. In addition the iRecovery is able to retrieve some deleted data from the following apps: Chrome browser, Gmail, Facebook, Facebook Messenger, Twitter, WhatsApp, KIK, Evernote, TextFree, TextPlus, Whisper, LinkedIn, Jott Messenger, mail.ru and Vkontakte. Previously there was no possibility of gaining information from an iPhone. No information is stored to the SIM Card on this phone and there is no spy phone software will not run on iPhone unless that iPhone has been ‘jail-broken’. 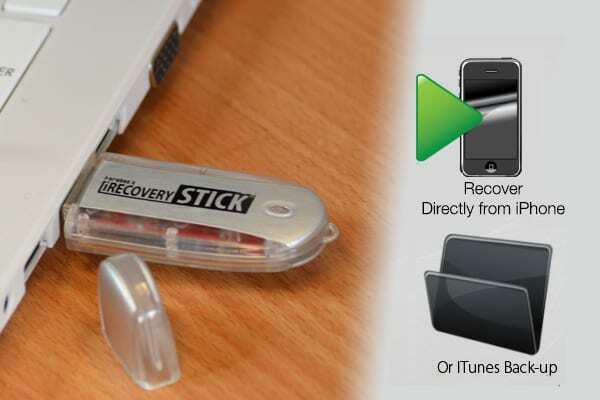 The iRecovery Stick helps to get a unique insight into the phone users activity and maybe particularly useful when checking on employees with a company phone, a cheating partner, your children, ensuring that they remain safe or even just to back up important data on your own iPhone. The iRecovery stick achieves this without actually deleting any data from the phone itself, so it merely duplicates the data that it gathers unobtrusively. When you purchase this product you will automatically have access to free upgrades to accommodate any advancements made by the software developers and to keep up-to-date in relation to iPhone products and Windows operating system upgrades (that relate to use of the software). This means that you can purchase sound in the knowledge that what you are buying is future-proof. The iRecovery software can be also used without need for direct access to the iPhone from which data needs to be recovered. This can only be achieved if the iPhone in question has been backed up on iTunes that is on a Windows computer. Each time an iPhone synchronises with iTunes, other data from the phone memory including deleted data will also be automatically backed up on the iTunes account. So, if the iRecovery is used on the Windows computer account on which the iTunes for that phone is maintained, then the data from that iPhone prior to the latest synchronising date can be recovered from the iTunes backup. An additional feature for the iRecovery Stick supports the retrieval of images from over 30 file hiding apps. These apps are commonly used by children and cheating spouses for storing pictures in a hidden folder supposedly only accessible to the phone user. The iRecovery software bypasses the on-screen password and finds the hidden images. It will not recover the PIN/Password but unearths the hidden pictures and displays them alongside all the other images discovered on the phone. Cureently supports recovery from: Album Lock, Calculator L, Calculator %, Calculator+, CI, Flo Box +, Folder, HiCalculator, HiDisk, HiFolder, HiPhone, iVault, Lock Security, My Apps Lite, My Disk, My Folder, My media, P Calc, Photo Vault, Photosafe, PhotoTank, PhotoVault, Private Camera, PrivateFree, SafeKeeper, SecretSafe Vault Manager, Secret Vault and Vault Pic. Deleted data on a phone is a tricky thing. When data is deleted from the phone, the phone marks the data as deleted and no longer displays it on the phone. This data may immediately be overwritten by the phone or it may be available for recovery until new data overwrites it. With most cell phones, new data is written over deleted space first so only the most recent data can be recovered. There was once a product that was called a SIM Card Reader that gave limited retrieved information. This software takes that old idea to the next level. Copy and view currently available data held in the phones memory including calls, messages, voice messages, notes and multimedia files, etc. Recover images from Hiding Apps including: Album Lock, Calculator L, Calculator %, Calculator+, CI, Flo Box +, Folder, HiCalculator, HiDisk, HiFolder, HiPhone, iVault, Lock Security, My Apps Lite, My Disk, My Folder, My media, P Calc, Photo Vault, Photosafe, PhotoTank, PhotoVault, Private Camera, PrivateFree, SafeKeeper, SecretSafe Vault Manager, Secret Vault and Vault Pic. In tests we have founds that on average data can be recovered from up to six weeks prior to when the phone was last used. If the iPhone has a screen PIN lock, then can I still recover the data from that iPhone? Unless you are able to access the phone when the PIN lock is off or are able to get past the screen PIN lock, then unfortunately the iRecovery cannot be used to recover data from the phone itself. This depends upon the speed of the processor in the computer to which the phone is connected for the recovery process and actually how much data is stored on the phone. The process when using a PC with a fast processor and phone that has only had light usage may take only 6 minutes or so, however a slow PC processor and a heavily used phone may mean the process could take an 45 minutes or maybe even more. My phone has been reset to factory setting and all of the data has been deleted off. Can the iRecovery still recover the deleted data? Unfortunately during the reset process all data is permanently wiped and cannot be recovered. Can the recovery process be conducted on a Mac computer? 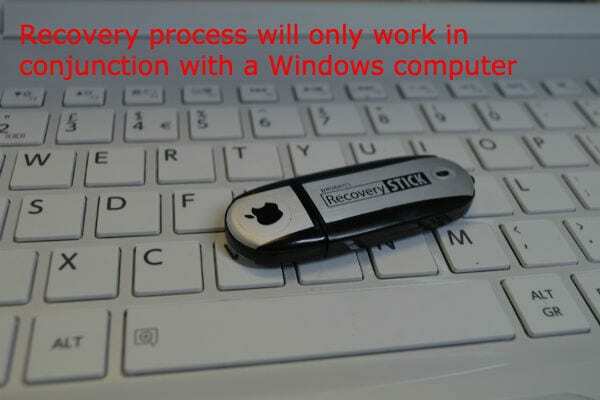 No, the recovery software is only designed for use on Windows machines. Will the software work on iPads and the iTouch models? Yes, you will be able to recover from these devices successfully, but you will not get much from them, since they do not have text messages, contacts, nor call logs. What if a new operating system comes out. Will my software be rendered useless in that instance? This software will not get around the iPhone screen password protection. You must know the password to iPhone you are intending to recover data from. There are no guarantees that the data that you wish to recover is still held in the phone memory. The data that you wish to recover may have already been overwritten. Because this is a specialist forensic software product, specialist support can only be provided directly with the software manufacturer. Information on how to contact the software manufacturer will be provided with the software product. No lead is supplied to connect your phone to a PC because these leads differ dependant upon the generation of iPhone being checked. Within reason the software will always have updates for the latest version of iOS, however, when a new version is released by Apple the software developers sometimes require 4 to 6 weeks to provide an updated iRecovery software on download. This recovery software is only for iPhones. We have a separate product that is designed for recovering data from Android phones.